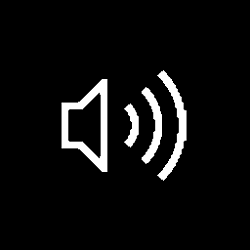 Windows 10 can play a sound at startup to let you know it's loaded and ready. This tutorial will show you how to change the Windows Startup sound to play a WAV file you want in Windows 10 without using 3rd party software. You must be signed in as an administrator to be able to change the Windows startup sound. If you run a sfc /scannow command, it will restore the default imageres.dll system file to have the default Windows Startup sound again. Updating to a new build of Windows 10 may sometimes also restore the default imageres.dll system file to have the default Windows Startup sound again. 1. Turn on "Play Windows Startup sound". 2. Take ownership of the C:\Windows\System32\imageres.dll file in File Explorer. 3. If you haven't already, you will need to download and install Resource Hacker. Be sure that your .wav file is unblocked first. It's usually best to keep your .wav file saved in the C:\Windows\Media folder to prevent issues with it playing at startup. 14. Boot Windows into Safe Mode. If you like, adding the Safe Mode context menu in the tutorial below can help make it easier to start Windows into Safe Mode and back to Normal Mode afterwards. This will be the backup copy of your original imageres.dll file. To restore the original imageres.dll file, you can rename the current custom imageres.dll to imageres.dll.old, and rename the original imageres.dll.bak to imageres.dll again. 17. Boot Windows back into Normal Mode. You should now here your .wav file play as the Windows Startup sound. The shorter the better, but it depends on how fast your system is for a max length. On 1809, Startup Sound only plays on Restart. ..., maybe that's why it only plays on Restart!!! I found this on link https://www.petri.com/change_to_no_sounds_sound_scheme_by_default showing you how to set the default key to .None no sound. I not sure how to set the default key to .None. but that just adds another key under Schemes. how do you change the key to .None?